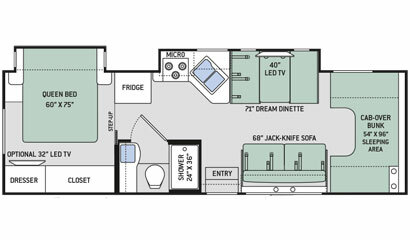 This Thor Chateau 29G is a great floor plan. 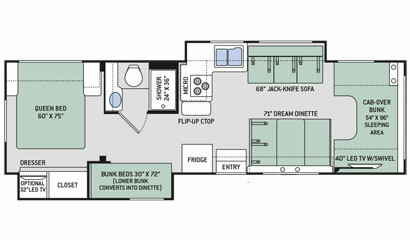 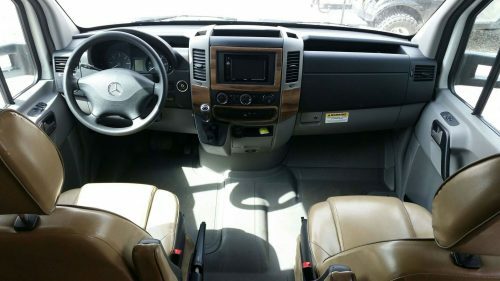 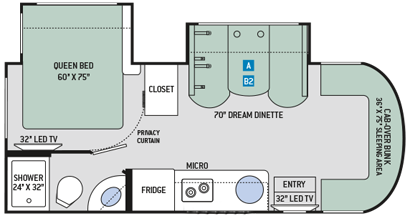 It differs from the 30′ Class C with the added bedroom slide-out giving more space in the back bed area. 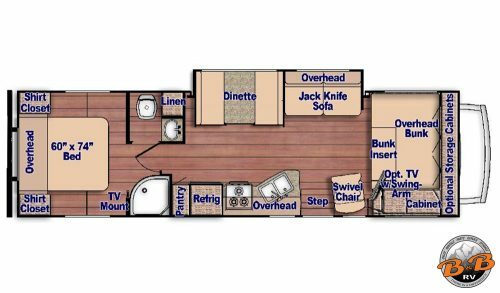 It includes a walk-around queen bed with upgraded pillow-top mattress, a living area with dinette and sofa across from each other which both convert to sleeping areas and an additional queen bed over the cab. 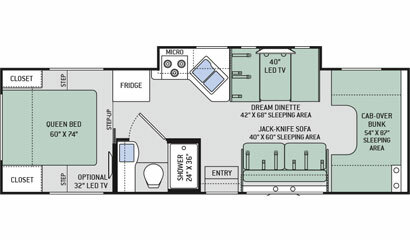 The large TV across from the sofa provides for comfortable viewing when it is time to relax or when the weather forces you inside. 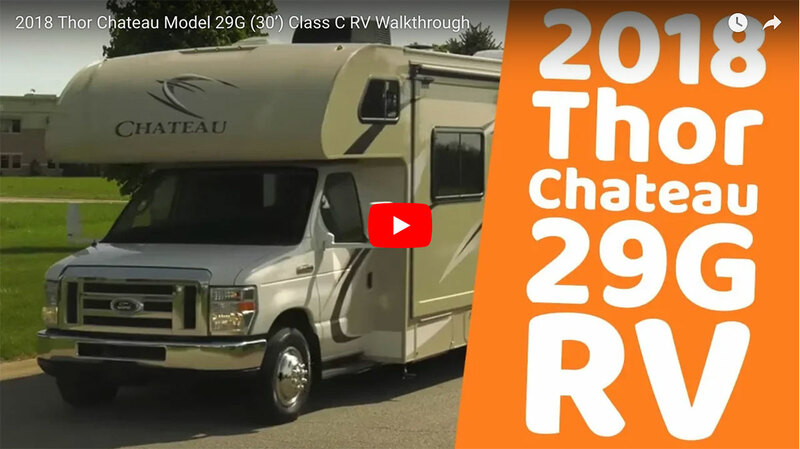 Check out our video walkthrough of this Thor Chateau 29G motorhome! 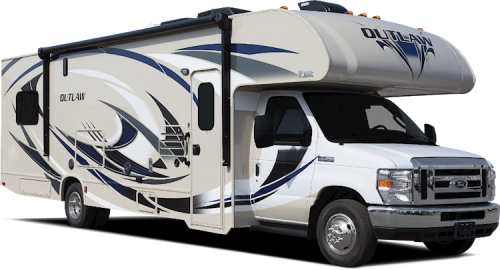 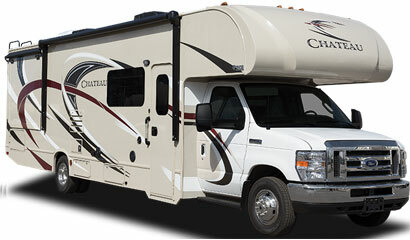 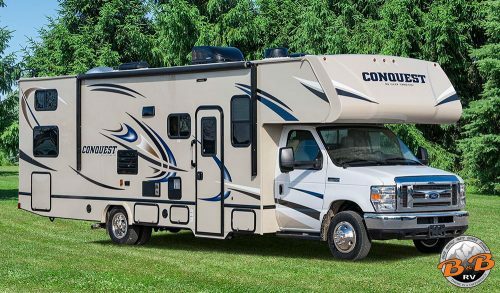 Check out some of our other Top-Quality Class C Motorhomes. 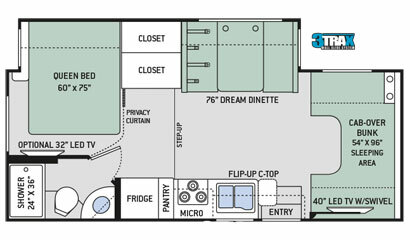 We do allow “specific units” to go to Burning Man with special pricing and restrictions. 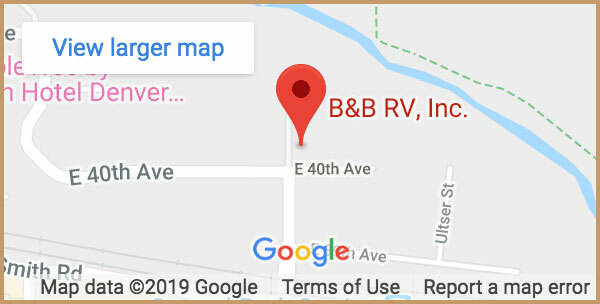 Do not think that you can go to Burning Man without telling us where you are going. 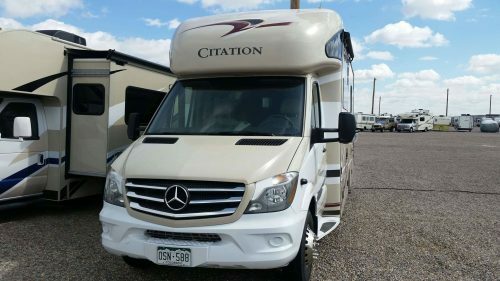 Call B&B RV, Inc. at 303-322-6013 for details.